Shopping in Delhi Delhi is unique in that it has representative outlets for the handicrafts of each Indian state. This in it self presents a staggering array of goods, and at very affordable prices. In the last decade there has been a dramatic change in Delhi's markets. Upwardly mobile lifestyle has led to greater sophistication in display and upgrading of various markets in terms of availability of items. There are some antique stores behind Jama Masjid, and more lining the entrance to the Red Fort, where the Meena Bazar once was. These offer items arranging from jewellery to painting and furniture, and cater almost entirely to tourists. Connaught Place, New Delhi's original shopping arcade was planned as part of the Imperial capital in 1911. On Baba Kharak Singh Marg, are the numerous government State Emporia. 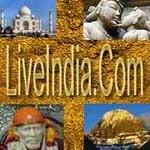 Which afford a glimpse of the handicrafts of each state. So does the recently- inaugurated new Central Cottage Industries Emporium on Janpath. Across the road from "Cottage" as it is popularly known, are the inviting stalls along Janpath. The Tibetans sell jewellery and ritual objects, while closer to Connaught Place are available embroideries from Gujarat and Rajasthan, readymade garments and bric- a - brac. When the wheather is good it is pleasant to amble down Janpath, where bargaining is the order of the day. Sundernagar Market is a fine place to shop for antiques and silver jewellery. The well - appointed stores keep a choice selection, especially of silver jewellery from Ladakh, semi- precious stones, some textiles and brass, copper and silver object d'art. Netaji Subhash Place Pitampura The haunt of the nouveau riche, these markets offer a combination of ethnic chic and designer lebels, Indian and international. Hauz Khas Village has set a very interesting trend as market. Over the countries, a village had developed around the medieval college and the tomb of Firoz Shah Tughlaq. A few years ago, an association called Dastakar - set up a showroom in the village. Now the village has a plethora of boutiques, galleries and restaurants which coexist with the buffalos, cow pats and men smokking hookahs on charpoys. Far from being a deterrant, the "rural" ambience is a positive attraction. Other villages like Mehtauli, Khirkee and Lado Serai are fast following suit. Seeing the popularity of crafts bazaars held periodically in the capital, Delhi Tourism has set up a permanent outlet for craftspersons at Dilli Haat, where space and the availability of Indian cuisines make the visit a very pleasant experience. A more up market outlet for Indian handicrafts and antiques is the bazaar near the Qutub Minar. 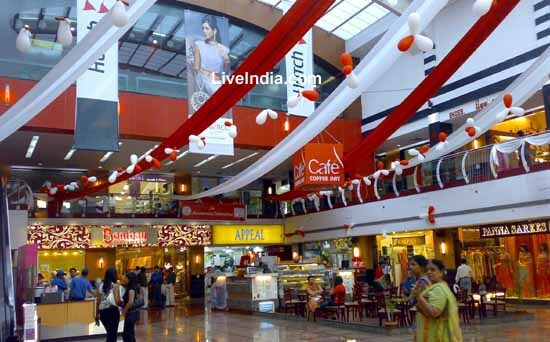 The Santushi Shopping Arcade opposite the Ashoka Hotel has become another popular up market haunt. Developed by the Air Force Wives Association, it has a select number of boutiques where apparel, furnishings and accessories are available. A restaurant and patisserie add to the quiet charm of the place. Location: 2 km from New Delhi railway station. Karol Bagh a.k.a KB was originally home to Punjabis who moved from Pakistan to India during partition. To eke out a living, the Punjabis opened several shops in this area which eventually shaped into a thriving commercial center. The main market places of Karol Bagh are Ajmal Khan Road, Arya Samaj Road, Bank Street and Ghaffar Market. Ajmal Khan Road is popular for its inexpensive readymade, cotton yarn and embroidered garments. A huge weekly haat or village market is held every Monday on Ajmal Khan Road. Karol Bagh is located in the heart of the pulsating city , New Delhi. This is one of the oldest shopping areas of the city. It's central location and proximity to the major places and monuments of the city makes it a visitor's delight. This place is mainly famous for it's shopping complex. A walk through Karol Bagh market is an unforgettable experience. It's a journey into history, traditional treasure house which mirrors the very best of Indian craftsmen. What makes the shopping even more unique is that the visitor has the options of walking in modern air-conditioned stores or through narrow alleys to traditional shops where often the artisan himself presents his work and also explains the intricacies of his craftsmanship. The variety of Indian jewellery is mind boggling. From intricately set necklaces in an array of precious stones to inlaid gold anklets to simple silver bangles, India has it all. Jewellery exists in almost everywhere in India as gold is considered the purest form of wealth in Indian society. Ornaments of gold and precious stones have been used from ancient times to decorate gods and goddesses , maharajas and maharanis, and to add sparkle to the religious rituals and ceremonies. Delhi's gold and silver smiths are the most famous in the country and in fact, an entire street in old Delhi is still called the 'silver street'. Besides gold and silver , Delhi offers a variety of precious gems - rubies, emeralds, sapphires and a number of semi-precious stones like cornelian, lapis lazuli, and garnets. 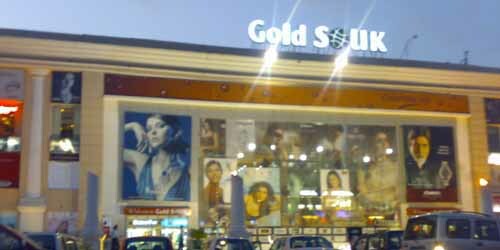 Karol Bagh has the maximum number of jewellery shops in Delhi. Therefore, Delhi's traditional jewellery street is worth a visit. Here, in shops located in narrow lane, visitors will be able to witness craftsmen at work and see designs that are still worn by traditional Indian women. What makes the jewellery from here special is not only the quality of the metal or stone rather the fine workmanship available only in this part of the world! Shoppers in Karol Bagh have either the option of picking up fabrics from the rich array of cotton , silks, woolens or synthetics, or buying readymade garments in the trendiest of the world of fashions. Be it traditional Indian Saree or an evening dress, the bargains are unbelievable. Other shopping bargains at Karol Bagh include furniture and furnishings, carpets and dhurries, spices and tea and a wide range of fashion accessories. In contemporary times the metropolis like Delhi has been divided into four important zones which include the East, West, North and South zone. Civil lines comes under the North Zone belt. The place got its name from the British Empire when they demarcated the region for civilians and military separately. The place reflects a blend of historical and modern times. The historical artefacts that make Civil Lines a hot spot include the Coronation Pillar, Mutiny Memorial, Metcalfe House and Viceregal Lodge, Shalimar Bagh, Roshanara Bagh, Qudsia Bagh, Delhi Ridge and ancient monument such as Ashokan Pillar. A tour of Civil Lines fills our memories with various empire ages. Some other famous places in Civil lines are Shah Alam's Tomb Flagstaff Tower, Chauburji Masjid, Pir Ghaib, Old Secretariat, Majnu Ka Tila, Ashokan Pillar, Hindu Rao's House, Nicholson Cemetry. Some of the parts of this area have turned into residential settlements. Many banks have come up with their branches in this region of Delhi. There are several schools and educational institutes for higher studies set here. This place also boasts of owning an underground metro railway station. It is one of the fastest developing districts in Delhi. Kashmere Gate Inter State Bus Terminal is the nearest bus station. Pitampura is non-descript area that has come over an age and now forms a potential commercial and retail center. The area is well encompassed between Outer and Inner ring roads, NH1 and Rohtak road. Over the years, Pitampura has shown significant growth. Two of the major attractions of the region are Pitampura TV tower and Delhi Development Authority (DDA) District Centre commercial complex. This complex is built on the similar line of Nehru Palace and Rajendra Palace and is also known as Netaji Subhash Palace. Chanakyapuri stands in the heart of the national capital of India, that is Delhi. Chanakyapuri is one of the posh areas of Delhi.The entire area of Chanakyapuri plus Connaught Place constitute the central zone of Delhi. The adjoining areas of Chanakyapuri include JorBagh, Lodhi Colony, Nicholson lines, Daula Khan, Netaji Nagar and Sarojini Nagar. Birds eye view shows the place resembles horse shoe with tansversing paths and roads. Roads that go from north to south including the horse shoe arms include Chander Gupt Marg, Nyaya Marg, Shanti Path and Niti Marg. These are transversed by Kautilya Marg, Panch Sheel Marg and Satya Marg. The areas within the transversersing sections consists mostly of foreign offices. Almost every house in the central region faces well maintained park. Facilities like safe drinking water and no pwer cuts ensures the pleasures of living a comfortable life. The south eastern periphery is bounded by Nehru Park. and Bhairon Temple is located in the Nehru Park. The International Hospital is located towards west Chanakyapuri and close to Cross Road 3. Chanakya Theatre falls in the exreme south east region. Hotel Ashok and Hotel Samrat are main luxury hotels and a constant check in place for foreign tourists. Some other hotels in the vicinity are Maurya Sheraton, Taj Palace, Claridges, Diplomat.Also known as Diplomatic Area Chanakyapuri is very popular area with the ex-patriates and their families because it is here that the American, British and German schools are located. Distance between International Airport and Chankya Puri is 14 km. approx. Luxurious home, elegant dresses, brisk crowd and bountiful markets, this what defines Greater Kailash area of South Delhi. Gratifying and lavish show rooms and retail outlets form markets here. If you are looking for designer wears then you find one in every market place here. 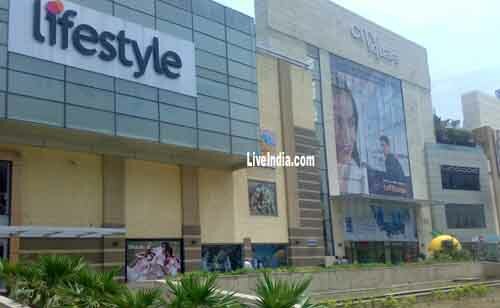 Among the most trendy shops in India, GK boasts of housing a large number of these. 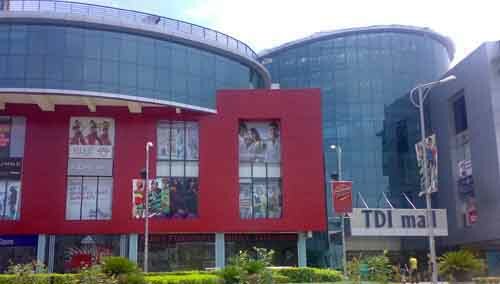 IT Hub of Delhi, Nehru Place is the major business center in Delhi. This is one place that host shops selling computers and computer parts. Each and every part of computer is available in almost every range. You will be amazed to see street hawkers selling computer hardware as well as softwares in the lawns of Nehru Place. There are several 'job work 'shops as well located here. You can get all kinds of printing, in almost any size in a very economical prize. Alike any other market in India, bargaining can save a lot of your money. If you really want to cut on cost, then try insist the vendor and get a pirated version of almost any software. In geographical terms, Nehru Place is a sprawling shopping arcade with a massive bus terminal, plying buses to almost every part of the city and even outside it. 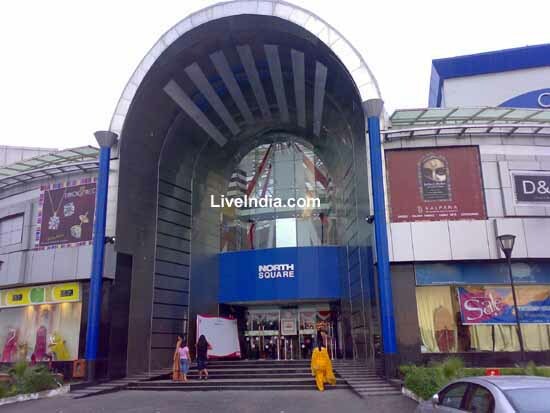 Located in South Delhi, Nehru Place forms the commercial hub with clean and wide roads. The areas encompasses cinema halls, markets, and many educational institutions as well. 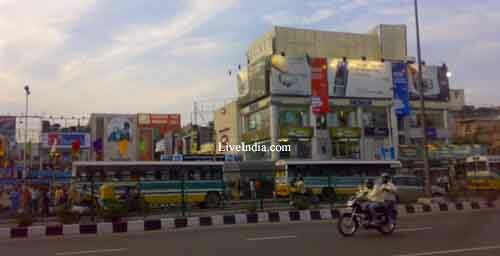 It has its own bus terminal, popularly known as Nehru Place bus terminal and is quite close to Paras Cinema hall. Situated on Ring Road, South Extension is divided into two parts - South Extension I and South Extension II . This is one of the most posh market place promising international shopping experience. It is a good place for tourists to see locals going about their daily activities. Although the market remains closed on Mondays, they are busiest on Sundays. Approx 1 hr from New Delhi Railway Station. 30 minutes from Sarai Kale Khan ISBT. Gurgaon is the most rapidly developing colonnade of Greater Delhi. Gurgaon located in the National Capital Region. It's lies close to the International and the Domestic Airport. Gurgaon has emerged as the hub of IT and other new-age businesses. Its proximity to the national capital of Delhi is an added advantage. Gurgaon enjoys all the facilities available in Delhi. Gurgaon is home to offices of several MNCs. The Gurgaon district of Haryana has several places of tourist interest like the Sultanpur Bird Sanctuary, Damdama Lake and Shama. Gurgaon is well linked by rail and road to Delhi, Faridabad and Jaipur. The total area of Gurgaon district is 2105 sq kms and its population is 11,46,000. Gurgoan boast an oldest railway station which is situated on the Delhi - Rewari - Jaipur line route. The railway station is about 3 kms from main old Gurgaon city. Delhi Bus Terminal is around 30 kms from Gurgaon. 10 kms from Indira Gandhi International Airport. Greater Kailash is the most posh area in South Delhi and consists of various residential colonies and a plethora of markets with designer wear stores and modern retail outlets. The region of Greater Kailash (GK) is divided into two zones- Greater Kailash I and Greater Kailash II. Greater Kailash I is the most affluent area in terms of real estate and cost of the land and some of the richest men in India reside at this place. There is no dearth of trendy shops in the Greater Kailash region. There are pubs, discos, night clubs and restaurants serving an array of dishes. At Greater Kailash you will find one of the busiest markets in New Delhi which is known as the M-Block market. This market sells an assortment of products and commodities as well as very good eateries. There are also many shops selling branded products in these markets. Greater Kailash is always over-crowded and the worst problem you would face in Greater Kailash is the traffic jams and congested roads. Apart from markets, you will also find visiting Greater Kailash amusing as the place boasts of fashionable neighborhoods. The houses are done in great architectural styles and in front of these houses you will find doormen standing. There are life-style shops and restaurants like Mcdonalds, Pizza Hut, and two-level Benetton and so on. You will find almost everything like books, designer clothes, perfumes, accessories, imported crystal objects, home décor items, costume jewelry or funky bags and shoes at this place, just name it! You can also a wide range of inexpensive items from the roadside stalls. If you are a style freak, then M Block of Greater Kailash is the ideal destination for you. You can eat in style and shop in style and obviously spend a great time in style!